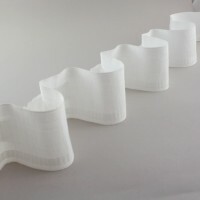 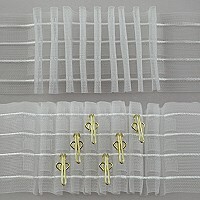 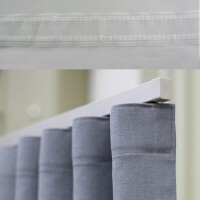 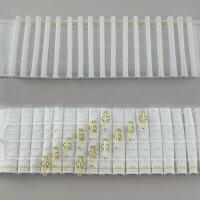 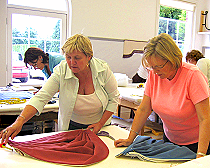 M&D Store | Roman Blinds | Roman, Austrian & Festoon Blind Sundries | General Roman Blind Components | Cord / Chain warning sign for Roman blinds etc. 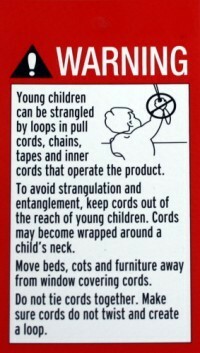 Cord / Chain warning sign for Roman blinds etc. 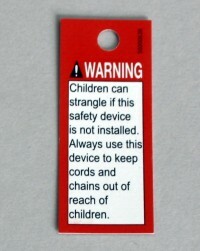 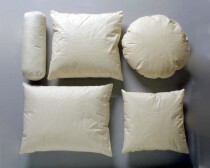 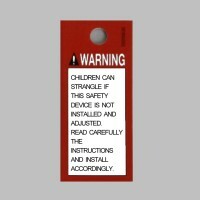 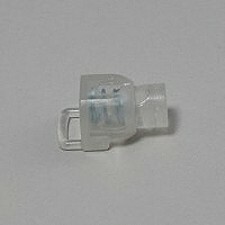 MUST be attach to a cord or chain on a Roller or Roman blind to warn of danger of strangulation. Warning sign for Roman blinds, tensioning devices, cleats or chain tensioners etc. 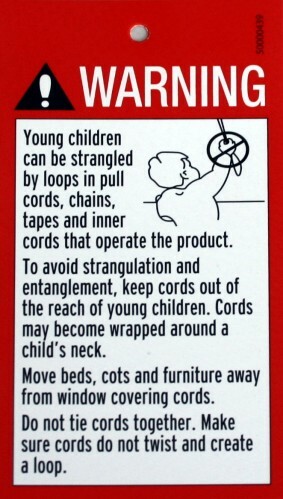 Self-adhesive chain warning sign for Roman blinds etc.